Welcome to the first ever Tinker Tuesdays devlog. We're going to be posting one of these every week to keep you more up to date with what is going on with development. I'm currently working on the Beta 4 update, which will bring the game to feature complete state and then it's just balancing and polish before the game is released. 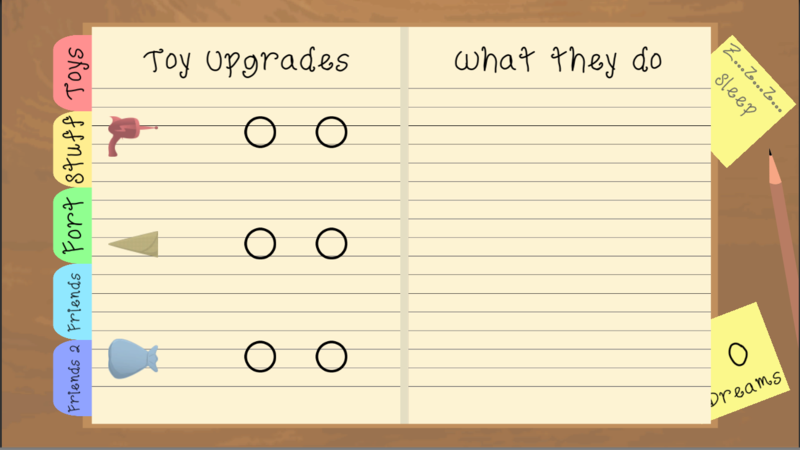 I recently finished wiring up all the upgrade screen code to make all the things work together and have the game keep track of your upgrade progress. I'll be working on the Creeping next, along with balancing the upgrades. The Creeping is a soft time limit for levels. It'll be a darkness that creeps from right to left and any nightmares in it will be faster and possibly stronger. You will still be able to win if the creeping fills up the map: it's just meant to add a little time pressure. Check out the included pictures for how the upgrade screen will look, and tune in next week for more updates and images of the Creeping.